Barefoot running has made my forefoot so wide I can't wear most size 14 shoes. But by creative lacing, I can run in THESE! 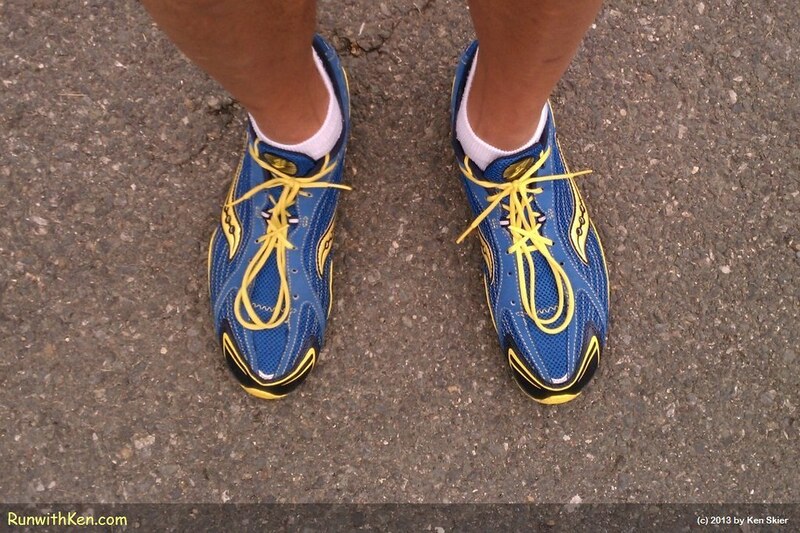 Barefoot running has made my forefoot so wide I can't wear most size 14 shoes. But by creative lacing, I can run in THESE!. If you look closely, you'll note that I don't lace the bottom four eyelets in each shoe. That lets my forefoot spread apart, as it must do since I began running barefoot in 2006.